Brilliant value! 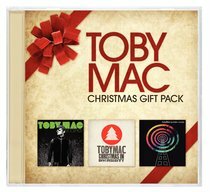 This pack includes three of Toby's most popular albums: Tonight, Portable Sounds, and Christmas In Diverse City. About "Toby Mac 3 CD Christmas Gift Pack"